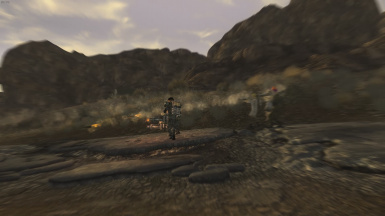 This mod gives you the full Fallout 76 experience in New Vegas. Complete with mic spammers, raging squeakers, and zergs. 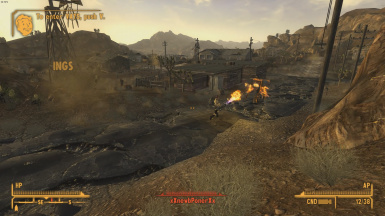 This mod sets out to bring the full experience of Fallout 76 to new vegas, complete with mic spamming, raging squeakers, zergs, and proper gamertags. As for what exactly this mod does, it adds about a dozen new NPCs (other players) to the game world most of which have dialogue to make them feel like the average other player in any MMO. 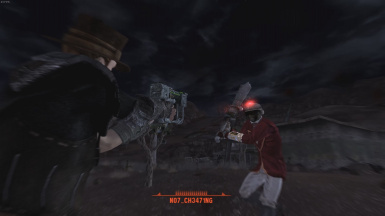 If you do install this mod, I would highly recommend starting with a new playthrough that way all the event triggers in this mod can work exactly as intended. Otherwise some NPCs may not say their lines properly. This mod is actually pretty fairly balanced with enemies getting stronger at later game areas. 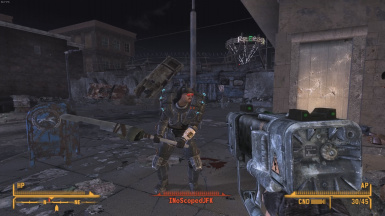 My personal favorite NPC is in Nipton.